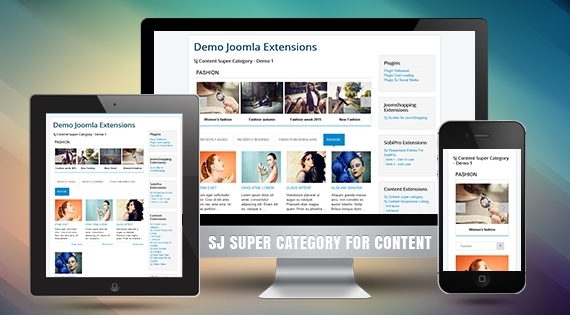 SJ Super Category for Content module is used to show the content category with subcategories and article listing tabs. It will show subcategories as slider with images and subcategories' title. Besides, the articles are well arranged as tabs by general fields: recently added, recently modified, publish date and random. Moreover, the module supports a clean backend interface that you can easily manage, configure it's parameters to meet your ideas. Let's take a look on the Demo and feel more!